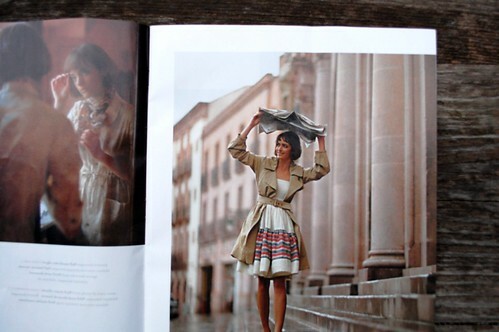 I thought I’d share some shots from the latest Anthropologie catalog. I get so many ideas from these little books. 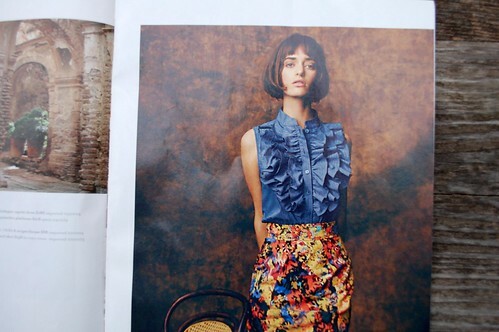 My favourite is the blue top with big ruffles down the centre. I would love to knock that off! roxy – i ordered a pair of shoes from their catalog a couple years ago. i think that’s the only way to get them. i had previously tried over and over to sign up on their mailing list, but never got one. those expensive shoes were worth it for the stack of catalogs i have collected! 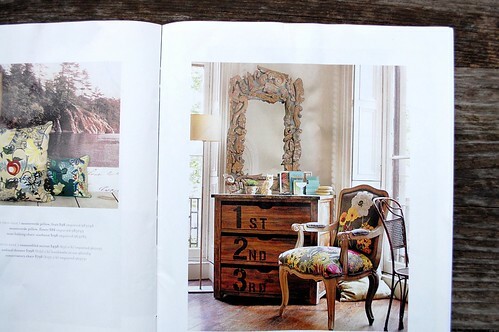 I adore the Anthropologie catalog! The images are always inspiring. 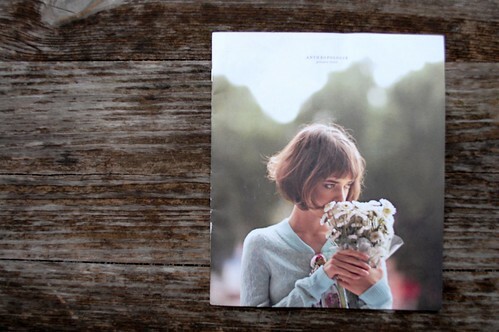 going right now to sign up for anthro catalog. i had no idea. thanks for the sneak peak.